Ports and marinas are usually more than picture worthy. What says vacation better than being surrounded by ships and yachts? Marinas and ports are dynamic places by nature, with ships always coming in and out of them. Moreover, ports and marinas convey a feeling of perpetual movement. If there is something magical about the sea, what place captures it better than a marina? Perhaps only a beach? But unlike beaches which are often all about chilling and relax, marinas stand for sailing and exploration of the sea. There are a few lovely marinas in Split, all of them worth a visit, I might add. The one I shot in most often is Zenta. I've spent a lot of time there as a kid, and I guess I'm still attached to it. Main attractions in a city are usually main attractions for a reason. I wouldn't recommend skipping on famous sights while you're in Split. After all, when will you have a chance to visit the oldest preserved cathedral in the world again? Or the second oldest synagogue in Europe? Exactly! Taking a photograph in front of tourist sights is almost a right of passage when you visit some place, isn't it? If you want to stand out of the crowd, you can always get there early when there isn't anyone around or get creative with your photography. I do recommend visiting the old city centre. Most of the historical and touristic sights make for a great shooting location. 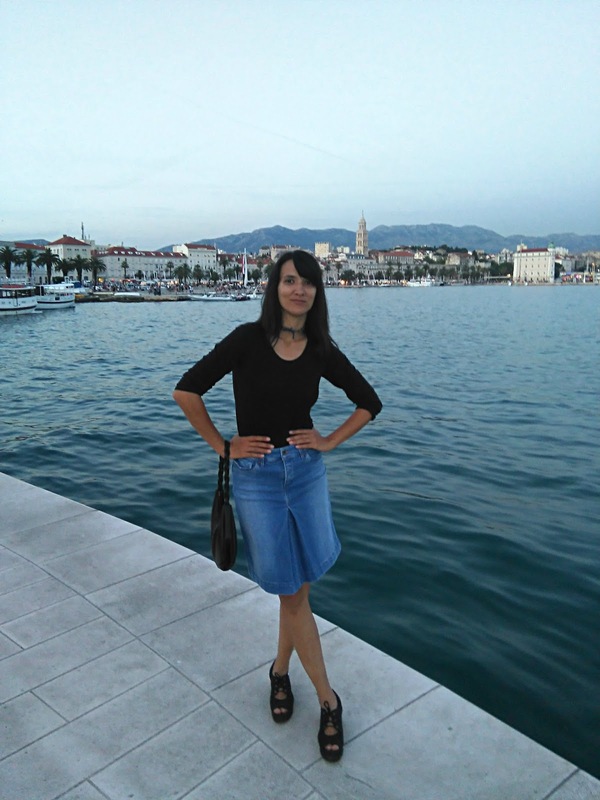 Besides its rich history, Split has a lot to offer in terms of modern urban architecture. I did recommend visiting the old centre of the city, but that doesn't exclude discovering the more urban & new areas of the town. I always say that the best way to discover a city is on foot. So, take a walk and see what Split has to offer in terms of modern architecture. Personally, I'm a big fan of many well known Split's architects and their work. I sometimes stroll certain neighbourhoods just to admire the design of its buildings. One of the places I definitely recommend visiting is the University campus. Let me tell you, Split has got some stunning beaches. Which ever you choose, you won't be wrong. I would personally recommend visiting them all. The ones I visit most often are Trstenik and Zenta, because they're the closest to where I usually stay when I'm in Split. If you don't want to get too far from the city centre, then the best option would be the most famous beach- Bacvice. This sand beach is a very popular spot. However, as I said I would recommend you exploring the other ones as well. That would be all for today. Happy Sunday everyone! I hope you have enjoyed this post. Let me know if you would like to read more posts of this sort. P.S. How come it is July already? Welcome July! thank you, I hope you'll visit:). You look beautiful in your photos! These look like fun places to take pictures! thanks and yes, they are fun places! Split has been on my bucket list so long so I need to visit it asap. Dear Ivana, if one person knows Split very well than you are this person! This beautiful post is a proof for this and I'm thankful I had already personally the huge benefit that you have shown Split to me. The places you show here are for photo worthy and I love all the pictures with your looks you share here. Thanks for sharing your knowledge and enjoy the new week. You are lucky to live somewhere with so many beautiful spots for photos - you know how to find some lovely backdrops for your outfit pics! I tend to take photos in the same spot every day as it's easier, but I'm looking forward to changing things up a bit when the boys are older and I don't have to worry about them running away as I setup my tripod, haha! yes, the countries I live in are very photogenic. There is a great variety of architecture, both old and new. I can imagine it must be challenging taking photographs with small kids, but a simple background also has its advantages, it makes a reader more focused on clothes. Everything looks amazing ! Wonderful photos! These are surely no shortage of photogenic places in Split. I feel like you can never go wrong somewhere down by the water. The views are always scenic not to mention it's just so relaxing to spend time in those spots. I love hanging out down by the river where I live. me too. I think that vicinity to all watery surfaces is good for our health and well-being. yes, there are both kind of beaches, for me the best thing to when you want to avoid a sea of tourists is to check out what beaches are popular and then go in the opposite direction. thanks dear! I sure miss living in Split....but I can drive there as well, just takes a bit longer. Great for you to showcase the beauty of your hometown. Many of your outfits look great to me in these pictures. I am most fond of the black polka dot dress with the peep-toe orange pumps. Wonderful job here, Ivana.